Con tradesmen and woman affect a large amount of homeowners across the UK. Anyone can fall victim to these doorstep criminals and may feel like they just cannot tell their family and friends. 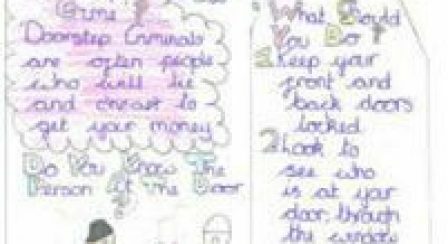 People most Avtar Sandhu Classroom vulnerable are the elderly, so Kent Council wants to warn younger generations about the dangers and set up a poster competition for school pupils to draw up something to warn residents of the issue. There was a huge response from children throughout the county and it was difficult to pick a winner. 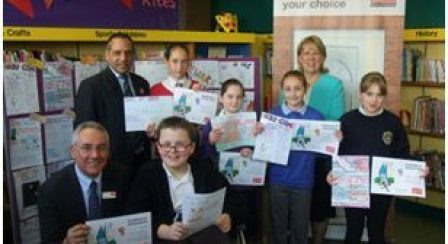 The top 5 winners were presented prizes and certificates in Maidstone library. These were presented by Ian Treacher, Assistant Head of Trading Standards, Avtar Sandhu, KCC Deputy Cabinet Member for Customer and Communities and Marion Ward, Trading Standards Advice & Education Manager for their hard work and dedication into raising awareness.